A fighter jet was scrambled to intercept a US reconnaissance plane over neutral waters of the Black Sea on May 9, the Russian Defense Ministry revealed on Friday. 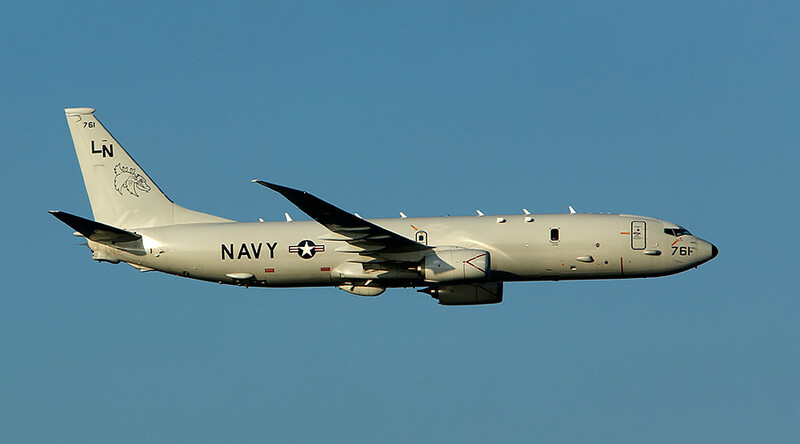 “After approaching a plane at a safe distance the Russian pilot visually identified the flying object as a US surveillance plane P-8A Poseidon,” the Russian military said. The Russian pilot “greeted” the US pilots with a special maneuver, after which the US plane changed its course away from the Russian border. 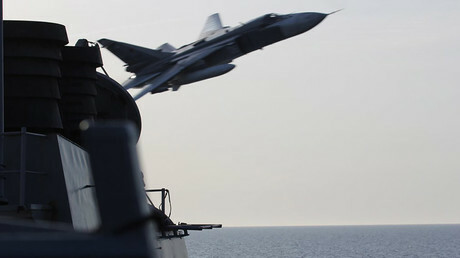 The incident occurred on May 9 at around 9am GMT, when Russian radars detected an aerial target over neutral waters of the Black Sea approaching the Russian border. A Su-30 fighter jet was scrambled to intercept it, the ministry of defense said, adding that the jet safely returned to the base afterwards. Kremlin spokesman Dmitry Peskov rejected any claims that the interception might be considered an "unjustified risk." Previously, NBC reported that a Russian Su-27 jet approached a US plane over Black Sea neutral waters as close as seven meters. The channel cited Captain Pamela Kunze, a spokeswoman for US Naval Forces Europe, who said that the aircraft was on a routine operation in international airspace. She also stated that US Navy aircraft and ships often interact with Russian ships and planes in and over international waters, and that “most interactions are safe and professional,” according to NBC. It comes about a week after Russian jets and bombers were intercepted while conducting routine flights near Alaska. The Russian Defense Ministry stated that these flights in no way violate any nation’s borders or international rules, and similar missions are conducted over the Atlantic and the Arctic Oceans, as well as the Black Sea. The jets were, however, intercepted by US military aircraft. US officials treated the incident as routine as well, describing it as “unproblematic” and saying that around 60 incidents have occurred since 2007. Indeed, these incidents are not rare. In April, two Russian Tu-95 planes were intercepted by US F-22s, about 100 miles from Alaska’s Kodiak Island, and the Pentagon said the Russian bombers were escorted for the full 12 minutes by US jets as they were in international airspace, with spokesman Navy Commander Gary Ross noting their “safe and professional” conduct. In February, two Russian Tu-160 strategic bombers were monitored by Royal Air Force jets northeast of Britain. Moscow has repeatedly expressed surprise at such zealous attention given by NATO members to routine operations.